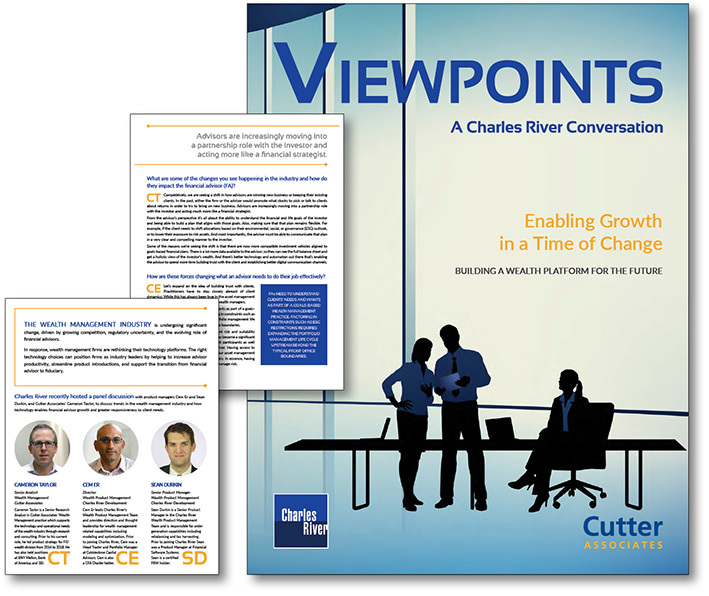 Charles River hosted a panel discussion with industry thought leaders to discuss challenges in the wealth management industry and how firms are adapting. In particular, the group focused on viewing financial advisor experiences through a technology lens that enables growth and agility. What does an advisor need to do their job effectively? How are emerging trends changing the way firms think about their wealth offerings? How can technology support wealth management operations and growth? 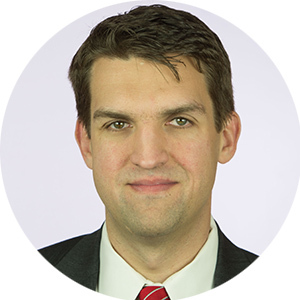 Cameron Taylor is a Senior Research Analyst in Cutter Associates’ Wealth Management practice which supports the technology and operational needs of the wealth industry through research and consulting. Prior to his current role, he led product strategy for FIS’ wealth division from 2014 to 2018. He has also held positions at BNY Mellon, Bank of America, and SEI. Cem Er leads Charles River’s Wealth Product Management Team and provides direction and thought leadership for wealth management related capabilities including modeling and optimization. 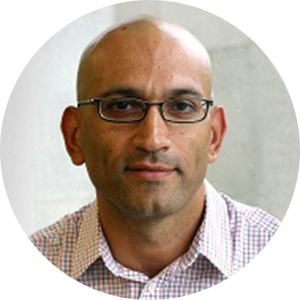 Prior to joining Charles River, Cem was a Head Trader and Portfolio Manager at Cobblestone Capital Advisors. Cem is also a CFA Charter holder. 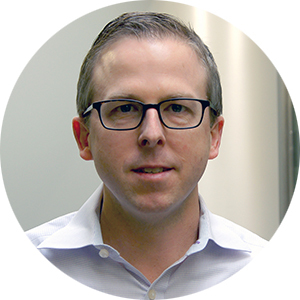 Sean Durkin is a Senior Product Manager in the Charles River Wealth Product Management Team and is responsible for order generation capabilities including rebalancing and tax harvesting. Prior to joining Charles River Sean was a Product Manager at Financial Software Systems. Sean is a certified FRM holder. Listen to the original audio recording of this webinar.